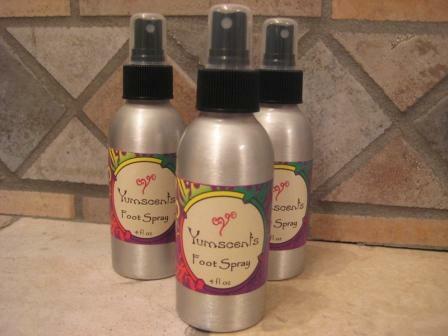 Invigorating foot spray for tired, achy feet. Contains a blend of organic essential oils including tea tree oil to combat foot odor and fungus. Spray in shoes as well to keep them smelling fresh and clean!